Left and right, automakers are revealing plans to hop on the eco-friendly bandwagon with new hybrid, plug-in electric, and hydro fuel cell models. Nearly every automaker has something in the works that has been confirmed or even appeared at recent auto shows. Korean automaker Hyundai is no exception, recently announcing its plans to rapidly transition its lineup–and that of luxury brand Genesis–to electric and hybrid powertrains over the next five years. By 2020, Hyundai plans to introduce 26 such models into production, both in the form of cars and SUVs. As Hyundai continues to strive to grow its share in the automotive market, the brand continues to find ways to stay competitive. With global sales of alternative-fuel vehicles likely to exceed 500,000 this year, it’s not surprising to see Hyundai set its sights on EVs. This impressive, ambitious undertaking by Hyundai aims to compete with other automakers also announcing similar plans. 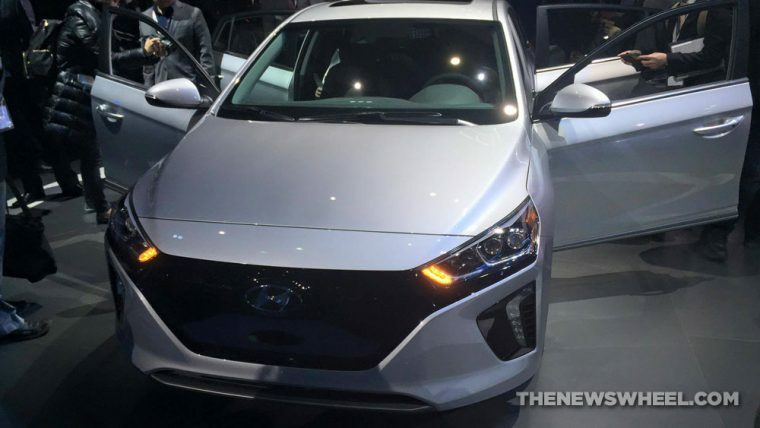 The first steps to achieving this goal has been the brand’s release of the Tucson Fuel Cell Vehicle and the recent unveiling of the IONIQ, which comes in three different powertrain options.